COBA basketball uniform, title of 'Slam Dunk Leader', tons of special exp, etc. The 2nd COBA Tournament has arrived! Seize this great opportunity to build your own dream basketball team that can take you all the way to the championship! Choose COBA Star Cards wisely to fill your team and equip the legendary players with exclusive shoes and wristband to win the game. 1. Visit President Yiu to learn the details. 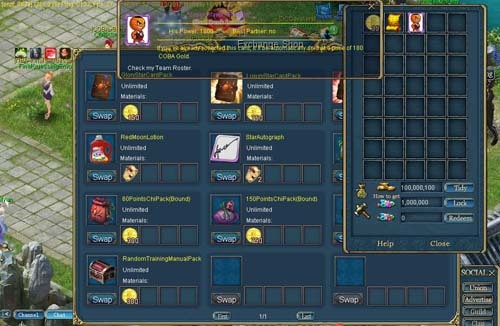 2.With the help of President Yiu, you build a team and obtain a Team Roster. President Yiu also gives you 500 COBA gold as your initial fund. Go draft premium players in the Transfer Market! 3.COBA Scout excels at activating player's talent. Wanna to draft premium players? She can lead you to the Transfer Market. 4. After you enter the Transfer Market, you can cost your COBA gold to buy a star card pack. Open this pack to get a super player card. 5. If you want to buy more star card, you need to have more COBA gold. 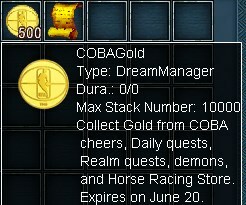 You can collect COBA gold from COBA cheers, daily quests, realm quests, demons and horse racing store. 6. 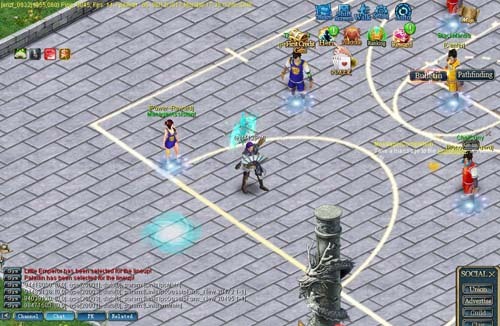 After you have enough super players, you can ask President Yiu to lead you to your Basketball Arena. Please make sure your starting lineup has 5 players, then you can select 5 substitute player. Be noted that starting players can bring their powers into full play, but the substitute players can bring only 50% powers into play. 7. 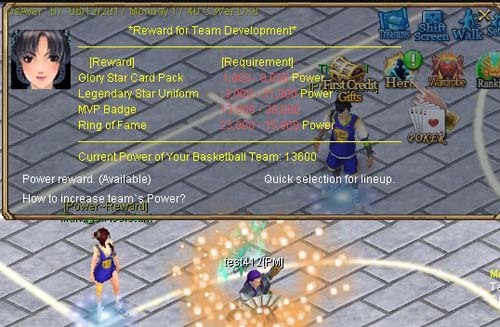 When you have 5 starters, you can claim nice rewards from Manager Assistant like Legendary Star Uniform Pack and Glory Star Card Pack. 8. The Manager Assistant can tell you how to increase team's power. 9. After you get 2 Rings of Fame from Manager Assistant, you can visit COBA Scout to swap them for a Star Autograph. 10. Use it to add a star autograph on a permanent basketball uniform and make this uniform become a 1% blessed signed uniform.